News Stream is an advanced news bookmarking and cataloging service to read the latest news from your favourite publications. No matter if you want to read trending news, top news, today’s news, true news or short daily news, this news app is designed specially to provide users with the power to choose and make their own news reading lists. As a versatile and powerful newspaper & news aggregator, this online news app is here to bring you the news that matters to you! With News Stream, you no longer need to go to multiple sources or platforms to read your favourite choices. 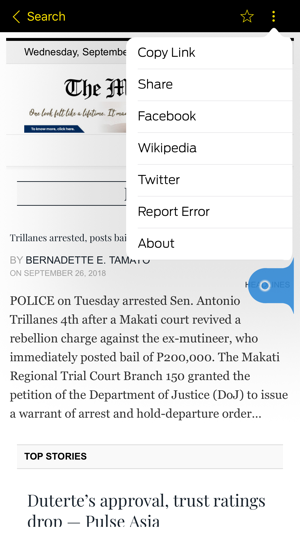 An online news app designed with simplicity in mind, News Stream is built with an uncluttered framework so that users can quickly search and find the publication they are looking for. Our digital news app truly ensures that you have a fluid reading experience and the final say in the choice of online news you desire to read. 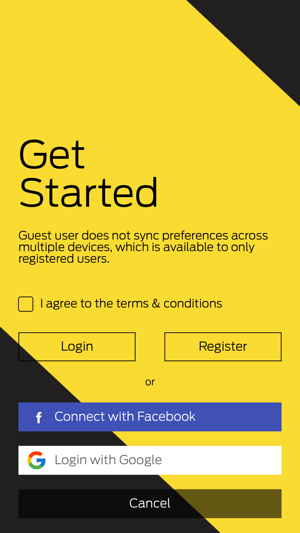 It is enabled with an exciting set of features for free users and also provides additional features through in-app purchases (or direct activation), for both the consumer and the corporate sponsor. If you want to read news and have daily news headlines at the tip of your fingertips, News Stream is the perfect way to go! You can easily create your own online news reading lists and enjoy topics that interest you the most. Our news feed app directly takes you to the publication source of your choice with no editorial or technical interference. The app will be regularly updated to ensure that you stay abreast with the news. Create your own customized list of folders and reading lists and have a clear overview of which publications are being read in our ecosystem. News Stream and its editorial team provide its selection of newsworthy articles in a day! 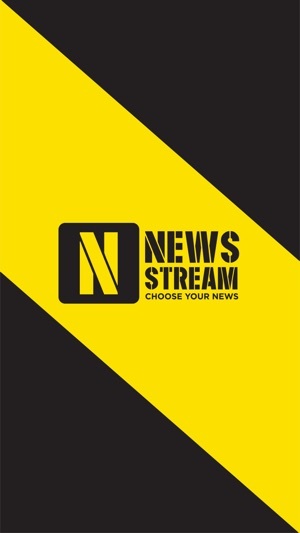 News Stream is the best news app for all users that want to read news anywhere and anytime, online news that are personalized and curated to each specific taste and interest. With its advanced search option, you can narrow down your search through a series of different featured filters. There are thousands of news headlines and publications properly categorized and tagged for accurate results. 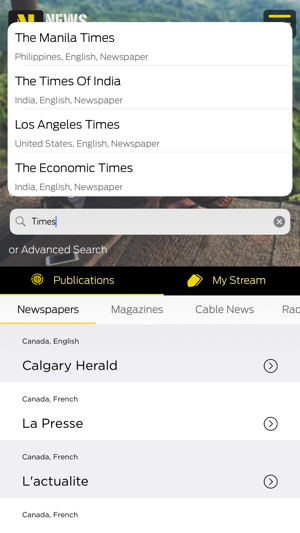 In this elegant newspaper app all publications are organized into few categories: Newspapers, Magazines, Cable news, Radio and Online News. Read the publication from multiple sources i.e., directly or through the social media pages. 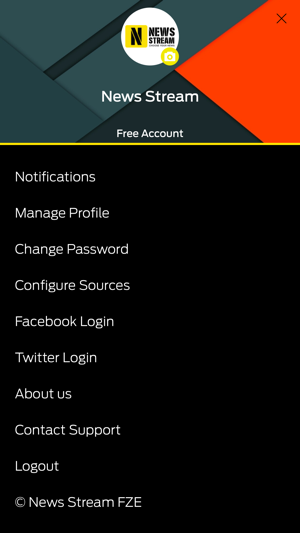 Just register for free and forget about all other news reading apps – News Stream is all you need! Have all online news and reading portals for consumption content in a single source, enjoy an exceptional news reading experience! 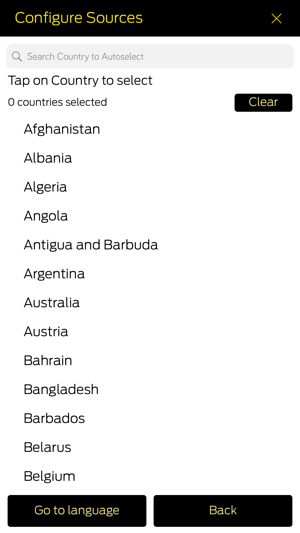 Thank you for using News Stream! To make our app better, we bring regular updates and better features to the App Store to improve the overall user experience. - Many more publications added & updated.